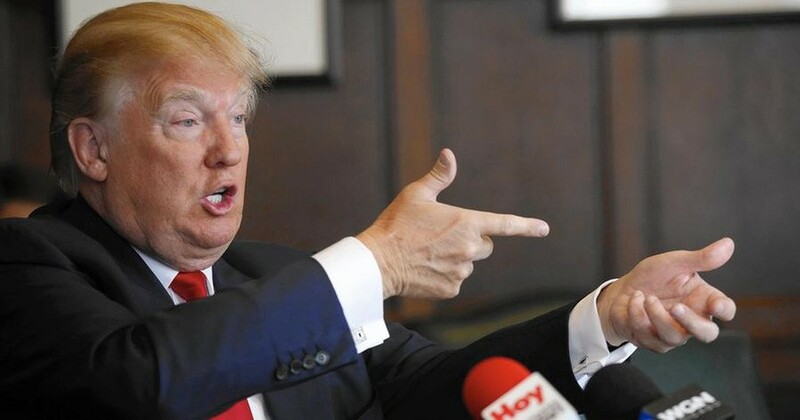 Second Amendment threat: How far must Trump cross the line before he’s dumped? Threatening to assassinate Hillary Clinton was all a joke. Really! Will Donald Trump’s latest outrage — insinuating that his followers might find a “Second Amendment” remedy for the problem of Hillary Clinton and who she might nominate for the Supreme Court — be the final tipping point in his presidential candidacy? Or do we merely need to wait until the next day before he says something even worse? Neither Hillary Clinton nor President Barack Obama has ever — ever — made a statement asking to take anyone’s guns away. Nor has either ever said anything close to wanting to “nullify the Second Amendment.” (More of Trumps “pants-on-fire” lies, as Politifact and others have rated them.) Yet Trump repeats those charges, and his Trumpeters keep eating them up. It’s too easy to dismiss what Trump says as the outrage du jour, or the latest ploy to keep him as the lead story in every news cycle. He’s crossed the line over and over, no matter how much his people try to walk back his statements. He’s insulted women, immigrants, Hispanics, Muslims, people with disabilities, POWs, Gold Star families — everyone short of dictators. He has praised Russian President Vladimir Putin, North Korean leader Kim Jong-un, and former Iraqi leader Saddam Hussein. But insinuating that his followers should take up arms against his political rival if she wins? That takes hubris to an 11 on a one-to-ten scale. The American Psychiatric Association has warned about the public or even psychiatrists making armchair diagnoses of Trump with terms such as sociopath or narcissistic personality disorder. But everyday Americans can clearly see when a candidate has grown dangerous, no matter what term is used. And Trump has. Rolling Stone had a story about Trump’s Second Amendment comments, calling it an “assassination dog whistle.” What’s really disturbing is the description of how Trump’s comments fit into the definition of stochastic terrorism, or using language and other forms of communication to incite individuals to carry out violent or terrorist acts that are otherwise unpredictable. We’ve already seen that in this country and around the world. We’ve seen it from “lone wolf” devotees of the Islamic State and of white supremacy. We certainly don’t need that kind of incitement from a presidential candidate. Yet Trump is the official nominee of the Republican Party, or what’s left of it. Some Republican politicians see Trump as their best case for staying relevant, however cynical a ploy that is. What will it take for GOP leaders to denounce him? House Speaker Paul Ryan called the Second Amendment comment “a joke gone bad.” And he’s still endorsing him. A Politico story said Trump’s gun comments had GOP leaders “squirming.” Trump’s campaign called it a learning experience. “A lot of times when Mr. Trump speaks, it is not as artful as a lot of people might think,” said Trump campaign Co-chair Sam Clovis. During the primaries, the website Talking Points Memo kept an updated list of those in the GOP who were endorsing Trump. The list started with zero elected officials (there were some has-beens such as half-term Alaska Gov. $arah Palin and former Massachusetts Sen. Scott Brown), but it gradually grew as more and more Republican office-holders reluctantly boarded the Trump train. Now, however, TPM has a new list of GOP officials jumping off that train faster than an indicted congressman fleeing from the media. There’s a growing list of GOP senators, congressmen, former office holders, officials in past Republican administrations, etc., saying they’re now #NeverTrump. Some have said they’ll vote for Clinton; some say they’ll back Libertarian candidate Gary Johnson; some aren’t saying at all. There’s also an interactive list at the Guardian with a great graphic; it’s worth checking out just to see Trump at the center with Republicans orbiting around him. Trump once boasted that he could “stand in the middle of Fifth Avenue and shoot somebody, and I still wouldn’t lose voters.” Unfortunately, he’s probably right. Not even an outright murder in broad daylight would make some voters and the GOP to dump Trump. For the good of the country and of humanity, let’s hope most of us have more sense. UPDATE: Never afraid to increase the outrage factor, Trump is again repeating his false claims that Clinton wants to take people’s guns. At a recent rally, he said he wondered what would happen if Clinton’s Secret Service unit had their weapons removed. “Take their guns away and see what happens to her,” Trump told supporters, giving more than a hint to his “Second Amendment remedy” fans. Of course, Clinton has never proposed doing anything to the Second Amendment — no president has the power to do that, anyway. And in case you were wondering, “Trump doesn’t allow guns at his rallies, and his properties don’t allow open carrying of guns,” according to a CNN story on his latest outrage.